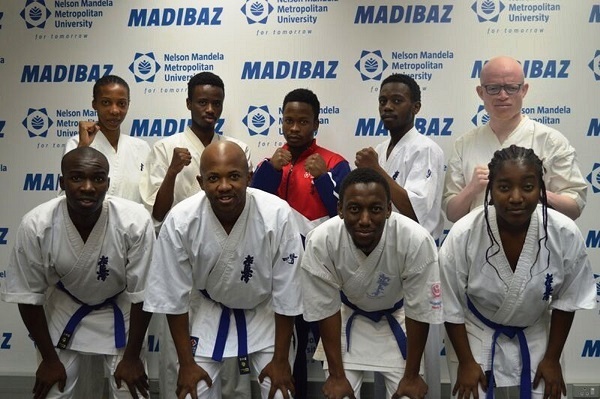 The NMMU-Madibaz squad will be out to preserve their reputation as a karate powerhouse when they compete in the University Sport South Africa tournament in Pretoria from Friday. The varsity will be sending 15 full contact karatekas and three semi-contact exponents to the tournament, which they have dominated in recent years. From 2010 to 2015, Madibaz were crowned the champions, while last year they were runners-up. Martial arts manager Bernard Petersen said while they had done well over the last seven years, they knew they would again face a tough challenge at the weekend. “We have a number of new karatekas in our squad, but we are aiming at least for a top-three berth,” he said of the tournament to be hosted by Tshwane University of Technology from Friday to Sunday. He identified Eastern Cape neighbours Walter Sisulu and Fort Hare as serious title contenders, while he pinpointed several Madibaz stars he felt could do well. Petersen added that varsity exams at this time of the year made it difficult in terms of their preparations, but that the squad had been practising hard. “Sensei Lucky Maxama, who is one of the top karatekas at NMMU, has worked very hard to prepare the students,” he said. He said the USSA tournament performed a critical role in their development as a club.